Anyway, Here for your pleasure is a round up of some of the best dance-inspired shoes around at the moment. Tap shoes are effectively an Oxford lace-up, once you’ve graduated from the silver sandals you’re given when you first start. They should have a small heel of a couple of centimetres (a totally acceptable heel height for En Broguers). I love my new gold pair from Labour of Love, and am almost tempted to try fixing my Teletone taps to the bottom of them. They’re available in all sorts of colours, and many are now in the sale. 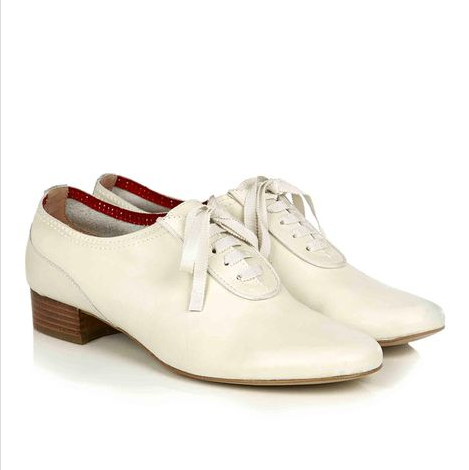 I’ve also found this lovely pair from Hobbs, a brand whose shoes I rate very highly on both the style and comfort scales. They describe them as jazz shoes, but with that heel height I beg to differ! Either way, they’re pretty cute. Jazz shoes are VERY similar to tap shoes, but with a lower heel and should be slightly more flexible. I’ve had the pair below from Office for years and I love them because they’re so versatile. Their soft nature also usually means they’re really comfortable and don’t require much wearing in. Labour of Love know the difference between their tap shoes and their jazz shoes, and you’ll find an equally good selection of jazz shoes on the website. They’re a bit cheaper too (bonus!). 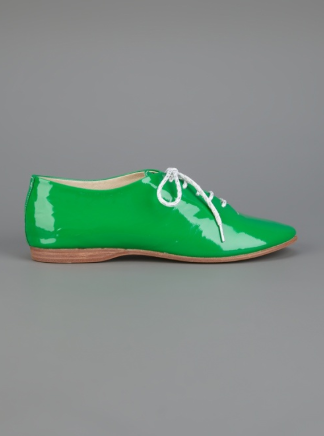 Remember when people first started wearing ballet pumps about ten years ago? Kate Moss was responsible as I recall. Anyway, I remember my first pair, and that it felt weird to be wearing so little on my feet in the winter! And that you could really feel the pavement through the flimsy sole. How normal then, now, to slip your feet into these easy little pumps. Where would we be without them? Bloch have been making actual dance shoes since the 1930s, so who better to buy your ballet pumps from? Here’s my mum wearing a snake print pair which she absolutely loves. 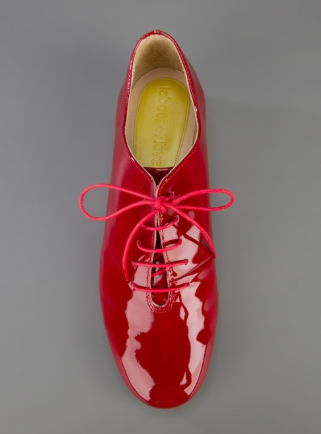 And below that, the brand that does exactly what it says on the tin: Pretty Ballerinas. 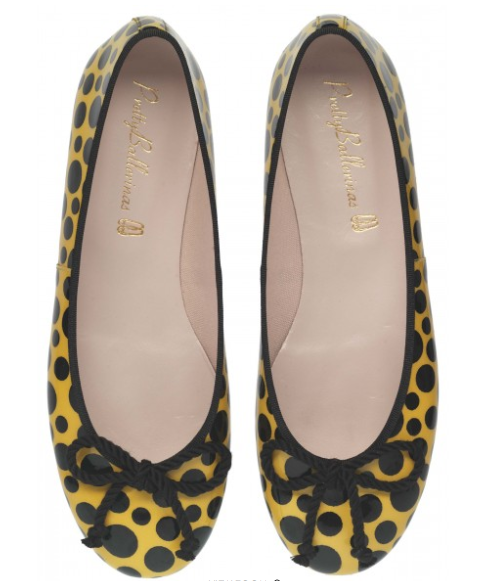 These in a new yellow patent polka dot design are really eye-catching. And if that’s not enough to make you want to get up and do a shuffle ball change stamp, I don’t know what’s wrong with you! 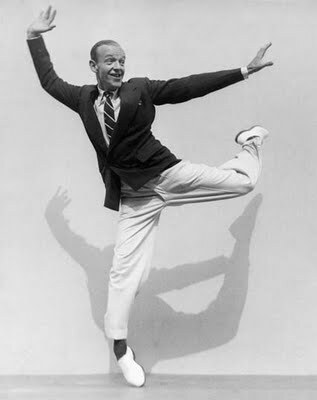 Happy dancing everyone. I love Bloch ballet shoes.French Sole do a nice shaped called Henrietta, too.Just the right depth at the front.I’m not too sure about ballet flats in Winter but I do seem to wear them all the time the rest of the year. 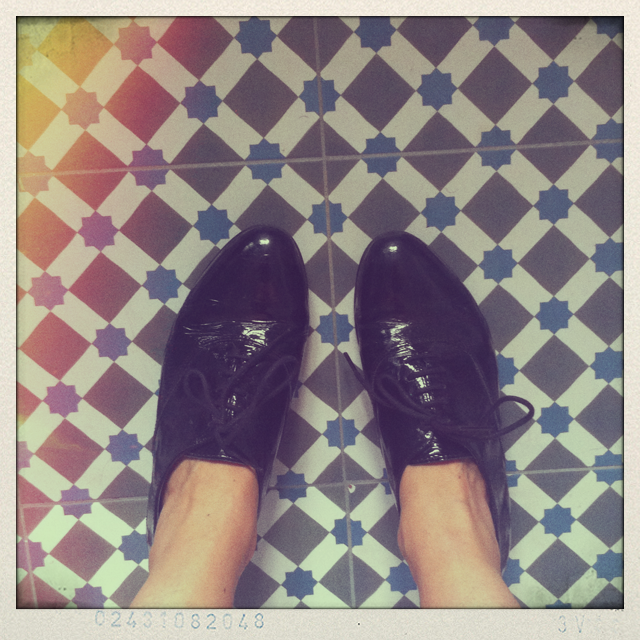 Yes you need hardy ankles to wear them all year round! 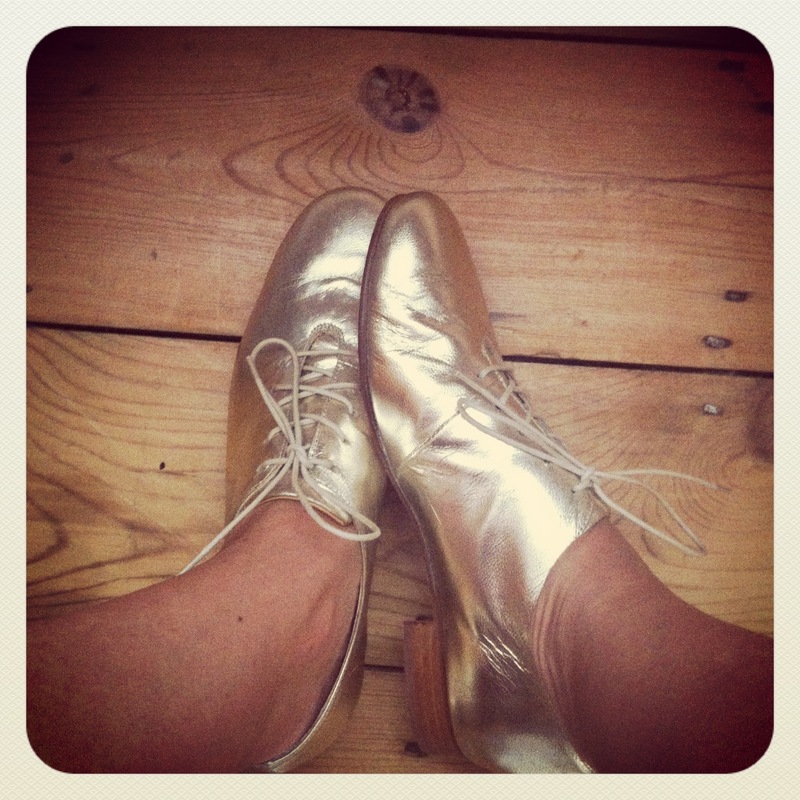 Wonderful post, I am so going to look for tap shoes now. 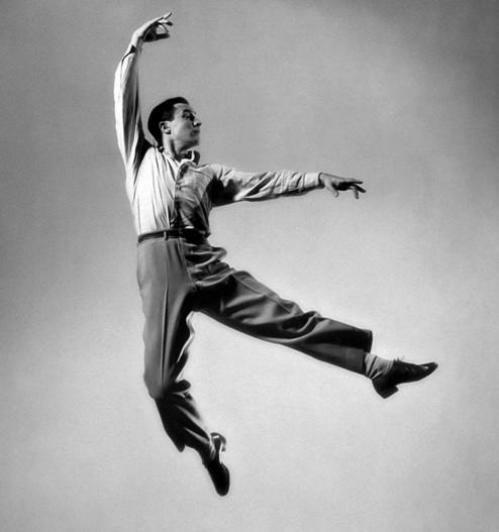 Gene Kelly is my favourite too.